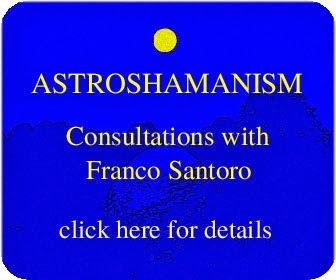 Franco Santoro and his associates offer a wide range of both basic and advanced training courses on holistic awareness, contemporary shamanism, astroshamanism, experiential astrology, spiritual healing, astroshamanic trance dance, holistic sexuality and bodywork, including AstroshamanicHealing® Touch. These also include distant learning training module. • Providing opportunities for further training and refinement of skills, together with the integration of various forms of astroshamanic tuition, such as specific modules and astroshamanic workshops, the Operative Training in Astroshamanism, Astroshamanic Practitioner Training or one-year courses, and of other modalities of teaching.